Shopping for Star Wars Car Accessories? 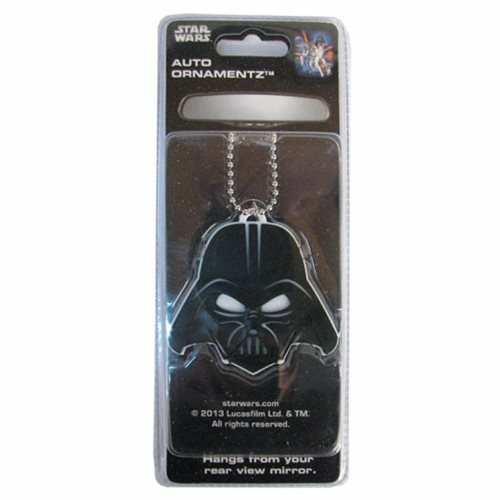 You can ride along with a Sith Lord if you hang this cool black-and-white Star Wars Darth Vader Auto Ornament from your rearview mirror. Measuring roughly 2 1/2-inches tall x 2 1/2-inches wide, it includes a silver chain. Ages 14 and up.